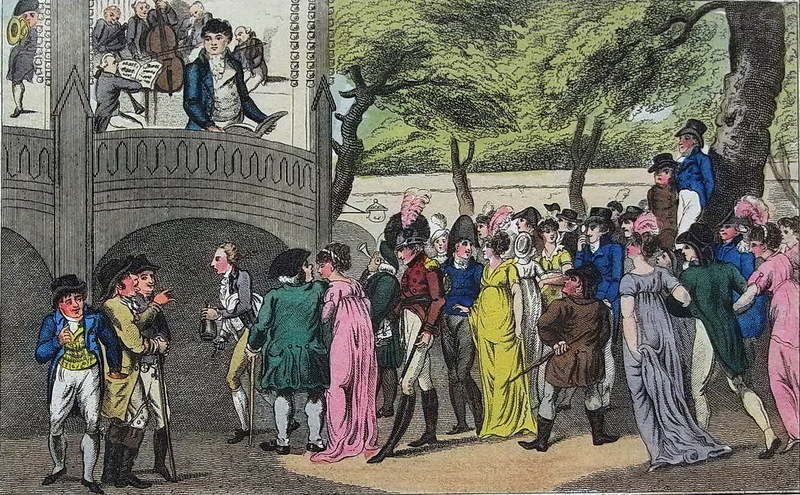 David Coke, co-author with Alan Borg of Vauxhall Gardens: A History, will lead ‘The Heyday of Vauxhall Gardens’, a Vauxhall Society/vauxhallhistory.org guided walk, on Monday 4 September 2017. The walk marks the traditional end of the season for this world-famous open-air attraction. Kick-off for this Lambeth Heritage walk (an hour or so long) is 2.30pm sharp, so meet a bit earlier outside Starbucks, Vauxhall Station. All welcome. Suggested contribution of £5 to The Friends of the Tate South Lambeth Library.